Super-duper popular Nantucket condo is truly turnkey with bright and cheerful living areas, an updated kitchen featuring granite counters, new appliances including a gas range & eating area. Plus new carpet in the formal dining and living areas, gas fireplace, a spacious master with adjoining bath with over-sized shower, guest bedroom, den & full main bath. Please don’t delay, this home is special. Lot Size: 0.22 Acres / 9666 Sq. Ft. Directions:From Bridgeport in University east on Cirque to gated entrance to Nantucket on right (last right before 67th) From 56th and Orchard go west on 56th/Cirque past 67th to Nantucket on left. SchoolsClick map icons below to view information for schools near 5017 70th Av Ct W #5A University Place, WA 98467. University Place Real Estate at 5017 70th Av Ct W #5a University Place, WA 98467. Description: The real estate listing at 5017 70th Av Ct W #5a University Place, WA 98467 with the MLS# 1408552 has been on the University Place market for 69 days. This property located in the University Place subdivision is currently listed for $409,950. 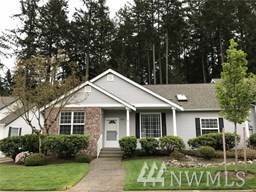 You are currently viewing the property details of the NWMLS listing at 5017 70th Av Ct W #5a University Place, WA 98467, which features 2 bedrooms and 2 bathrooms, and has approximately 1689 sq.ft. of living area.